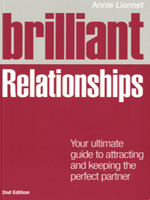 Your inspirational guide to relationship success, providing all the essential tools to ensure you have happy and healthy relationships. From establishing positive personal beliefs and expectations right through to creating and sustaining healthy and happy relationships, you will discover how to attract the perfect partner and feel completely fulfilled in your relationships. - Understand why we repeat negative patterns and change these for good.